I love stealth games, predominantly because I see them more as action puzzles more than anything else. They’re living, moving conundrums that allow for experimentation and adaptation, flowing from one state to the next with sometimes deviously hidden solutions. Echo turns that idea on its head, if only for the fact that you are your own worst enemy. Think if it as playing a game of chess, where you constantly know what your next move is because you actually made it. That’s what Echo does in a nutshell, and you can experience it right now. 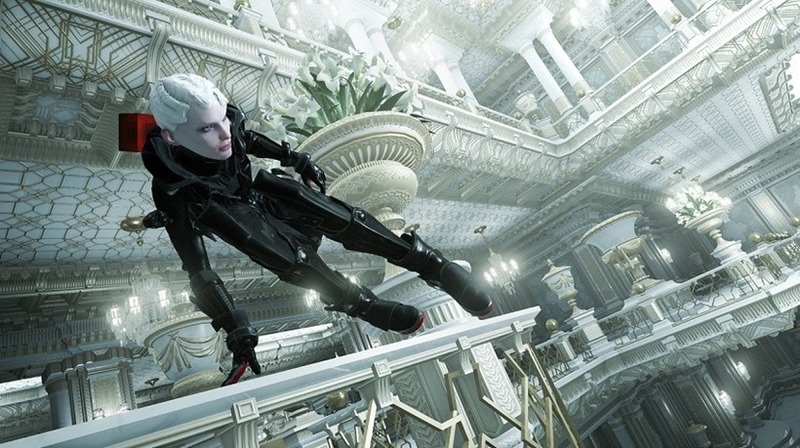 The stealth game, developed by a team consisting of some ex IO Interactive developers, hinges on The Palace. Its AI guards are your main foes, but their programming is altered every time the Palace changes state. When the lights flicker and the room goes dark, everything you’ve been doing up to that point (vaulting over cover, sprinting, shooting) is given to your foes. Your play style is embedded into the objects you’re trying to avoid, which only makes them more adept at hunting down your style of play. Simply put, you need to adapt or die in The Palace. It’s an incredibly novel idea for a stealth game, and one that makes the idea of a moving puzzle that much more complex to solve. Using the most basic tools at your disposal means you’re giving them directly to your opponents to exploit, so you’ll have to be both aware and ready to make those sacrifices. It helps too that the game so far is absolutely gorgeous, even if its resting on a single trick that needs to be absolutely nailed to feature some surprising, deep gameplay. Echo is out now on PC. It might come to consoles in the near future.